The number of direct pooled EB-5 project offerings has been steadily growing over the last two years and are considered by some professionals as a reliable alternative to regional center projects, mainly due to the permanent status of the direct EB-5 program. As these offerings become more prevalent, it is important to explore what structures and types of direct pooled projects may be best suited for investors. What are the key differences between the direct and regional center EB-5 immigrant investment programs, how should one structure a favorable direct pooled EB-5 investment, and why may the direct pooled EB-5 investment route be more beneficial for certain prospective EB-5 investors? First, let’s outline the two types of EB-5 investment programs investors can choose from when pursuing an EB-5 investment. The direct EB-5 investment program is a permanent U.S. government program established in 1990, while the regional center EB-5 program began in 1992 and is not yet a permanent program, and therefore subject to renewals by Congress. The last time the regional center program was significantly extended was in 2012. There have been 13 clean short-term extensions of the program since 2015 as part of legislation, extending annual U.S. government spending bills and budget resolutions. These short-term extensions have continued to push the program’s sunset date, while keeping all other program parameters untouched. The regional center program offers attractive advantages, such as using indirect and induced job creation, greater involvement of third party banks and lenders and equity investors risking capital alongside EB-5 investors, and the ability to utilize more flexible exit strategies. However, the prolonged uncertainty with the regional center program has continued to affect both investors and general EB-5 industry confidence due to vague near-term prospective investment and immigration benefits, resulting in some developers and regional centers not being able to effectively plan future projects. The situation is causing investor concerns with regards to increasing their minimum investment amounts after subscribing to a regional center project and whether investors would be grandfathered in under the old rules. It is creating challenges for key third party industry providers wondering whether they’ll have a business in the coming months. Due to these reasons, there is a strong argument that adequately structured offerings using the direct EB-5 program may offer a more stable, viable and less risky option for prospective investors. There are two common types of direct EB-5 projects. The first type consists of a single foreign investor who creates, structures, funds and operates a new qualifying business that generates a minimum of 10 U.S. jobs. Under the current TEA provisions, if the new business is located in a TEA, the individual investor would invest a minimum of $500,000, would need to secure any other necessary funding either from 3rd party lenders or investors or contribute additional capital of their own to fully fund the new operation. If the new business is not in a TEA, they would need to contribute $1 million. In either case, the new business must have a need for the full amount of their EB-5 investment in order for the amount they invest to qualify as an acceptable project. The individual investor would also likely be responsible for operating the business and directly responsible for creating the 10 required jobs during their sustainment period, as well as being responsible for any funding shortfalls, at least until the issuance of their final unconditional green card. This structure places full responsibility for the entire transaction and success of the business on the EB-5 investor. Individual direct EB-5 projects have focused on a variety of industries and business types, typically in line with the single EB-5 investor’s prior business experience. The direct pooled project consists of “pooling” the investments of two or more EB-5 investors into a qualifying EB-5 project. Like a regional center project, it is typically a passive investment that is created, structured and operated by a group looking to fund either a new operation, or multiple new operations that is substantially smaller in total size than the typical regional center project. This group is also typically responsible for directly providing at least a portion of the total project capital and/or securing other third-party capital, thus being responsible for any funding shortfalls instead of placing that prospective burden on the EB-5 investors. A majority of direct pooled EB-5 projects are focused on franchises. Franchises have generally proven to be a desirable and beneficial type of business for this kind of EB-5 investment, as many franchises have a prior record of success, a well-capitalized franchisor entity, a franchise model that is well documented and provides guidance to existing or burgeoning franchisees, and in many cases provides a brand that has operated for many years. Direct EB-5 investments do not need sponsorship from a designated regional center. There is no pre-approval process for direct EB-5 projects. The direct program faces no sunset dates. With a regional center project, investors must rely on multiple things not seen in a direct EB-5 investment, including: the regional center’s designation must remain intact and in good standing with USCIS and not be terminated throughout the entire duration of each sponsored project’s investment period. Direct EB-5 investments can only count actual direct jobs towards the 10 jobs per investor program minimum but they do not need an Economic Impact Report (EIR) to calculate projected job creation, which reduces transaction complexity, time and resources. The direct jobs are typically calculated by tallying all verified full-time W-2 payroll employees who work in the given establishment or project. For a regional center project, investors must be confident that the projected construction expenditures and/or revenue projections are materially accurate, as one or both of these two inputs are primarily used when calculating a project’s total job creation. This is a critical point because if the project’s job creation doesn’t meet the minimum 10 jobs per investor, the prospective EB-5 investor will not receive his or her green card. Therefore, it is important for investors and their representatives to feel comfortable that the economists who use these project inputs have adequately assessed how reasonable these figures are in their EIR, and that a comfortable job creation cushion is present. Direct EB-5 investments should be backed by deep pocketed owners/franchisors/companies, who have the ability to support job creation projection targets that may require additional funding to hire and sustain additional staff if the initial project funding or operational cash flows are not sufficient. 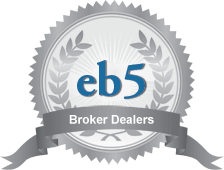 Most other key requirements and characteristics of an EB-5 transaction are common between the two investment types. They have the same minimum investment amounts, TEA calculations, options for more or less active management, at-risk requirements and investor petition processing times. In structuring a direct EB-5 investment, there are a variety of factors that should be considered in order to create a strong EB-5 offering. First, make sure the business entity or Job Creating Entity is an established business that has a proven customer base and track record. Then, also check so that it is an established franchise with a proven business concept that are backed by quality, experienced and well-capitalized operators. They should have the ability to effectively and profitably operate and grow new units, identify ideal markets and locations for new units, provide their own personal capital, and, if necessary, additional outside institutional capital to fully fund the capital stack, step in to the business unit to establish or maintain profitability and sustain job creation targets. These are crucial transaction elements for EB-5 investors in preserving their investment principal and achieving their permanent residency. Additionally, direct pooled EB-5 investments tend to be smaller offerings, thus increasing the focus on investors’ needs and requirements in obtaining a green card and a full return of capital, with the added benefit, in many cases, of providing greater annual financial returns to individual investors. Another key consideration is aligning the franchisor’s and EB-5 investors’ interests by inserting investor protection mechanisms that penalize the franchisor if the EB-5 investor is not paid his or her annual return, is not exited from the project in five years or if the jobs are not created. In conclusion, direct pooled EB-5 investments give the same immigration benefits as a regional center transaction without the uncertainty of the program lapsing. Both regional center and direct EB-5 investments have their pros and cons, however, due to the unpredictable legislative environment, the direct EB-5 investment route provides a variety of benefits that EB-5 investors should consider. As pooled EB-5 investments are becoming more prevalent in the industry, today’s EB-5 investors have to many more options to choose from than ever before.